The Career Fair will take place on Friday, 17th of March, at Nikopolis Hotel from 10.30 am to 7.00 pm. 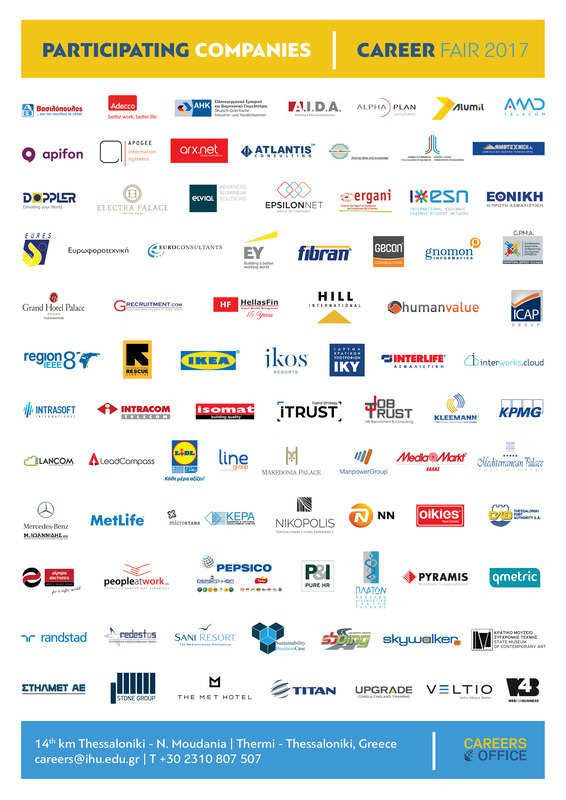 This year, more than 70 companies and organizations from different sectors, with business activities in Greece & abroad, are eager to meet you! 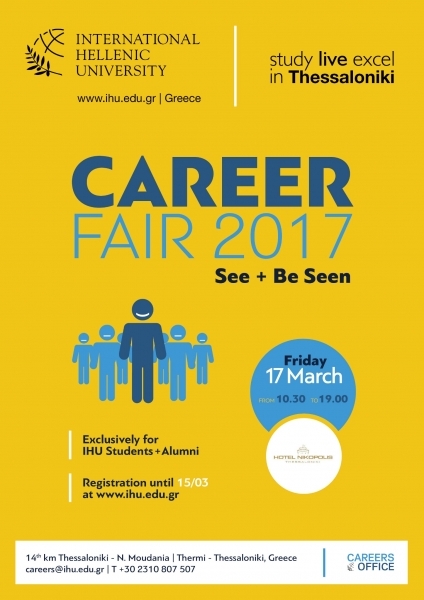 IHU is organising its 7th Career Fair with the participation of some of the most prestigious international companies. The annual Career Fair provides all IHU students and alumni with the opportunity to meet face-to-face with employers to discuss internships, as well as full-time and part-time employment opportunities. For the last 6 years, IHU Career Fair has been established as a successful and effective occasion for participating companies, students and alumni of the University. The strong management background, leadership skills, international exposure and ability to achieve high level results that are instilled at IHU’s Master Programs’ curriculum make its students a rich pool of candidates for many prestigious companies, in various sectors, worldwide. How can I make the most of the Career Fair ? Attendees should dress professionally and bring multiple copies of their resumes.